Easy enough so that people have an enjoyable time - no one wants to feel like a total loser! Difficult enough so there's a clear margin between the best team and the rest. Most importantly, they need to be about topics which the people who attend your quiz are likely to know about: there's no point asking (most) senior citizen's about current pop-stars, or asking (most) teenagers about films from the 1950s. That usually means that no one else can write your quiz-questions for you: the rest of us just don't know what country you live in, or about the age and life experiences of your quiz-participants. 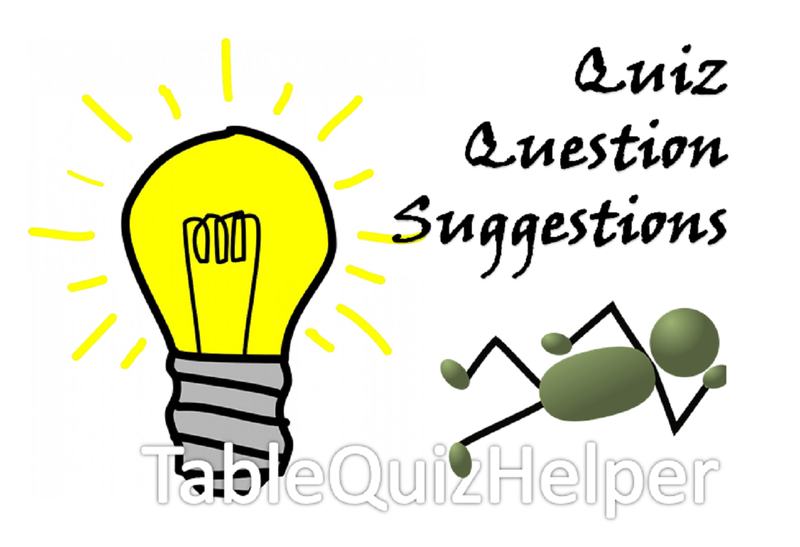 But the quiz-question suggestions series has lots of ideas about the types of questions you could ask - and you can use the suggestions to create actual questions to suit your audience. 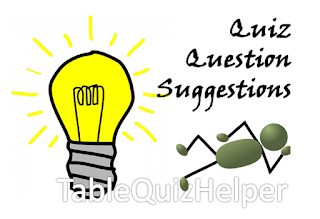 For some topics, one suggestion might be enough to create an entire round of questions, while for others you might choose one or two of each type of question to get a round. 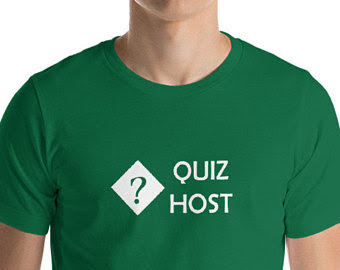 Read more about how to write good questions for a quiz-night.